Acura will unveil the refreshed and significantly enhanced 2018 TLX performance sedan in New York on April 11. The 2018 TLX will boast a more aggressive, sporty and alluring look inspired by the Acura Precision Concept that debuted at the North American International Auto Show in 2016, a design direction that already has successfully influenced the styling of the 2017 Acura MDX. The TLX refresh also includes new premium features and technology enhancements that place the TLX among the most technologically advanced and well-equipped cars in its segment. 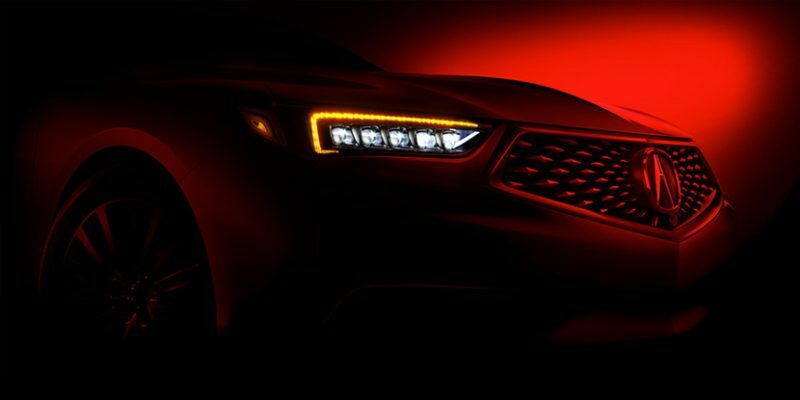 Watch the 2018 Acura TLX reveal live on April 11 at 4:45 p.m. ET at acura.us/2018TLXDebut. The 2018 TLX five-passenger performance sedan was designed by the Acura Design Studio in Torrance, Calif. and will continue to be produced at the company’s Marysville Auto Plant in Ohio with domestic and globally sourced parts. The Acura lineup features six distinctive models – the RLX premium luxury sedan, the TLX performance luxury sedan, the ILX sport sedan, the 5-passenger RDX luxury crossover SUV, and the seven-passenger Acura MDX, America’s all-time best-selling three-row luxury SUV. Last spring, Acura launched its next-generation, electrified NSX supercar as a new and pinnacle expression of Acura Precision Crafted Performance.